The mention of yet another electronic payment service may not impress anyone, but that hasn’t deterred Digi. 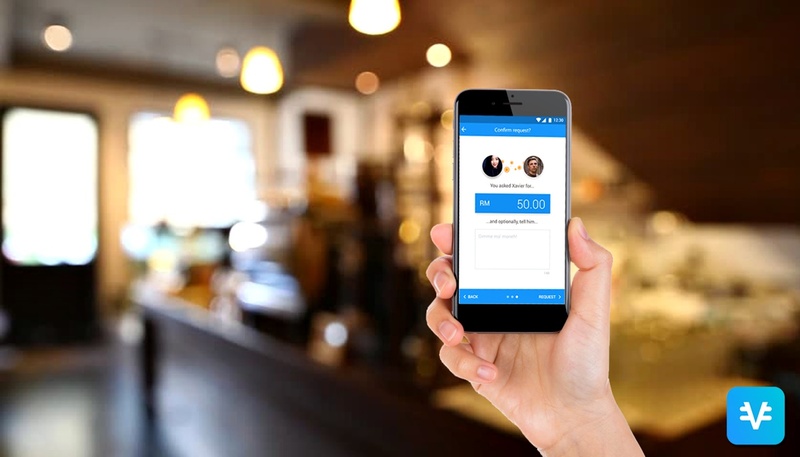 Its QR-based mobile payment service, vcash, doesn’t aim to rise and challenge the likes of Samsung and Apple, but rather to democratise the use of electronic payment systems – and eventually displace the use of physical cash. Digi’s vcash is not exactly like what would be considered as competition for NFC-based mobile payment services like Apple Pay. 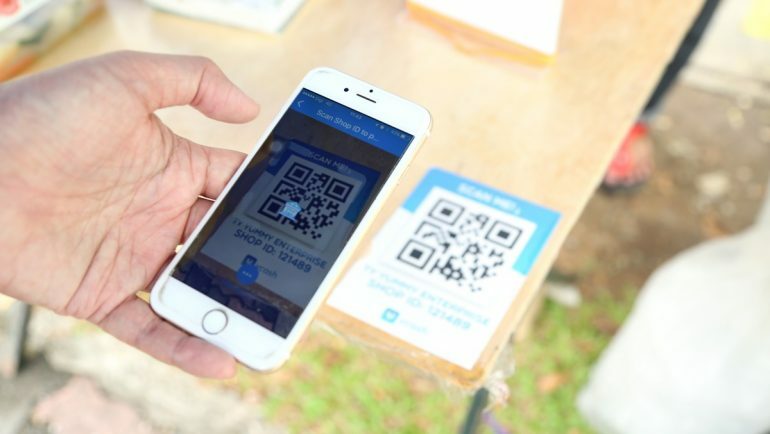 vcash relies on QR codes to confirm payment, and has more in common with what WeChat and Alibaba are doing in China. Using QR codes is an important feature that allows the service to function with minimal buy-in from local merchants, since it doesn’t require an additional payment terminal. 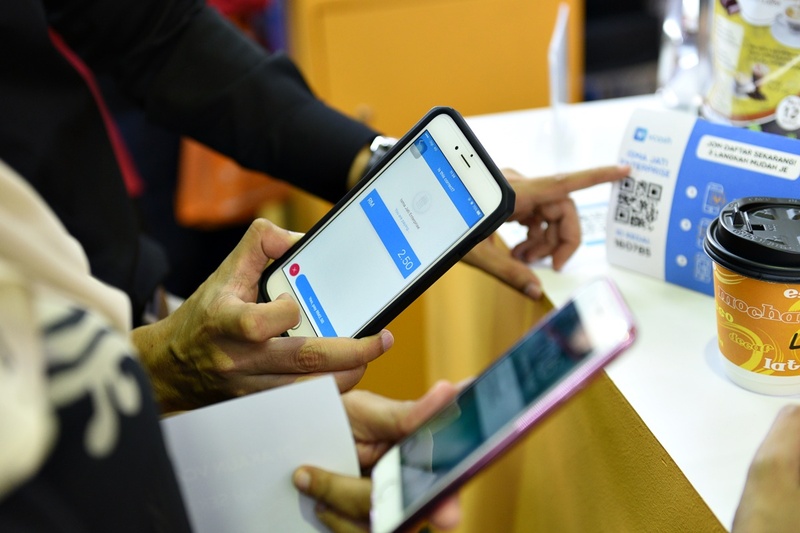 On top of that, the barrier of entry for consumers is lower too – any low-end smartphone can generate QR codes easily, versus relying on NFC which requires the phone to have the embedded chip. “We are trying to convert as much as possible – what are known as cash and coins today – into a cashless environment. So everything becomes a digital payment solution. Whether it means going to a shop to pay for your food, or splitting a bill with a friend, or transferring money. We want to be involved,” says Praveen Rajan, Digi’s Chief Digital Officer. Adding funds to the wallet or deposits – as Rajan calls it – can be done from physical stores or online banking. It sounds rather counterproductive to allow cash payments while trying to displace it, but cash deposits remain as an important option to get people on the platform. According to the telco, 81% of its 12 million customers are still on prepaid accounts. These are largely rural folk who still visit mom-and-pop sundry shops to do their weekly shopping. It is these very people that Digi was thinking about when designing vcash. Pushing for a cashless society requires everyone to buy into the idea. However, maximising visibility also places the burden of customer education on vcash. “That requires an education effort to get people to feel comfortable. As a fintech arm of Digi, we are focused purely on payments (and) making it as convenient and easy to use as possible. So we’re not going out into the market and saying that we’re also doing shopping and vouchers and restaurant bookings. That’s not what we are. We are a payment option,” says Rajan. Part of this education is the lack of Digi branding on vcash; the app is listed as being developed by a Y3llowlabs Sdn Bhd. The idea is to avoid discouraging people from using the service due to its association with a particular telco. It does Digi no favours if people are under the impression that vcash is only for Digi customers, or that it’s restricted to subscribers of the one provider. That said, vcash is very much a Digi company. It operates on the e-money license owned by Valyou, an e-remittance service owned by the Telenor Group (which also owns Digi). Having this association reduces the amount of work that needs to be done to apply to Bank Negara for the authorisation to conduct this sort of business. Digi’s backing of vcash is also important for dealing with partners and merchants. The idea is that businesses will be more comfortable in dealing with vcash if they know it is being supported by a company as large as Digi. It doesn’t hurt that participating in the system only requires a quick registration and placing a QR code on the counter. The app itself is relatively bare bones, and only contains the necessary components to create an interface. A judicious use of white space makes it easy to draw attention to the various options and menus. Text is larger than in most apps, and only highlights the minimalist approach. 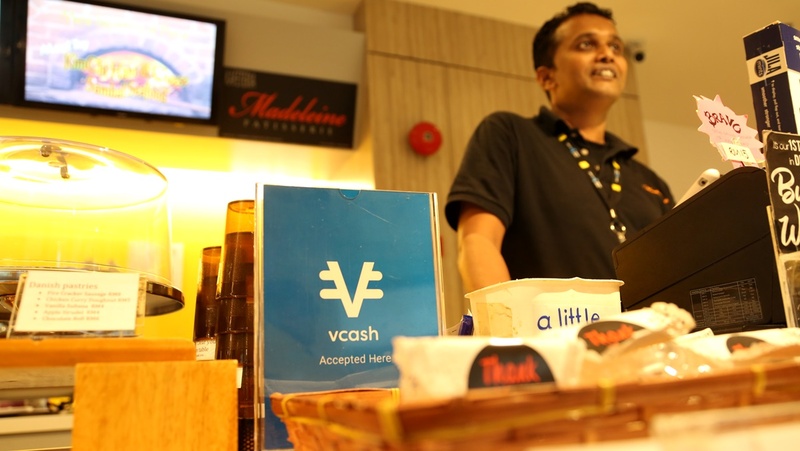 For now, development on vcash is centred around using it as a digital payment system. Both in the sense of allowing people to make purchases with it, and for sending money to other vcash accounts. Peer to peer transactions are important to simulate how people are able to lend money to friends or pay each other back. There is also the option to send reminders to people who owe you money. Digi is also setting up the option to transfer money from vcash into a local bank account. It is a move that is highly unusual for a digital payment system, but one that Digi believes is necessary in giving potential users confidence that their money is not going to be stuck in a virtual environment with no way of retrieving it for other uses. “We sensed that there is a fear. A fear that if we tell you that you put money in and can’t take it out you will feel uncomfortable. Our goal is to digitise as much (as possible) but we’re keeping that option open,” says Rajan. This theme of educating and getting the public comfortable with the idea of a mobile wallet also extends to how Digi plans to deal with competing products like PayPal and Apple Pay. As far as Rajan is concerned, more players in the field helps vcash in the long run. 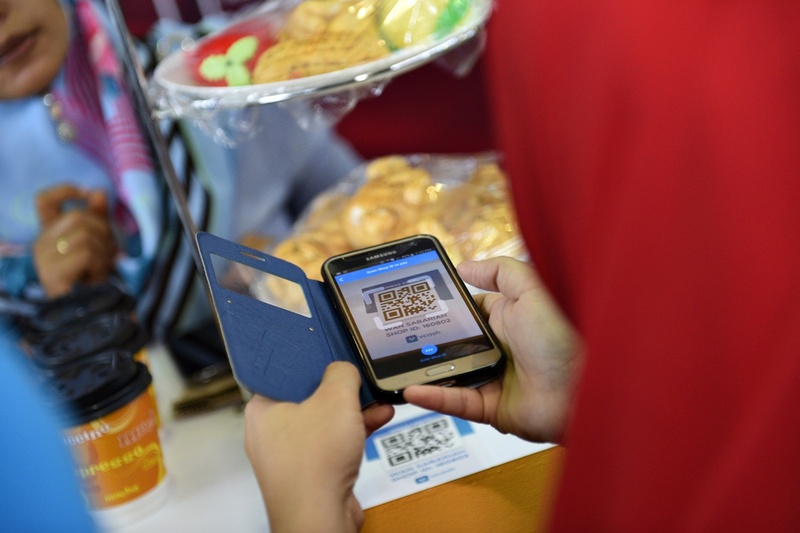 It will only increase visibility for mobile digital payments as a whole, helping everyone win. Competition is not always a bad thing, especially when the ultimate goal is to displace cash through electronic means. Of course, it helps that vcash is taking a rather lower tech solution to the problem than its more global counterparts. Aiming for consumer education reduces the pressure on vcash to succeed. 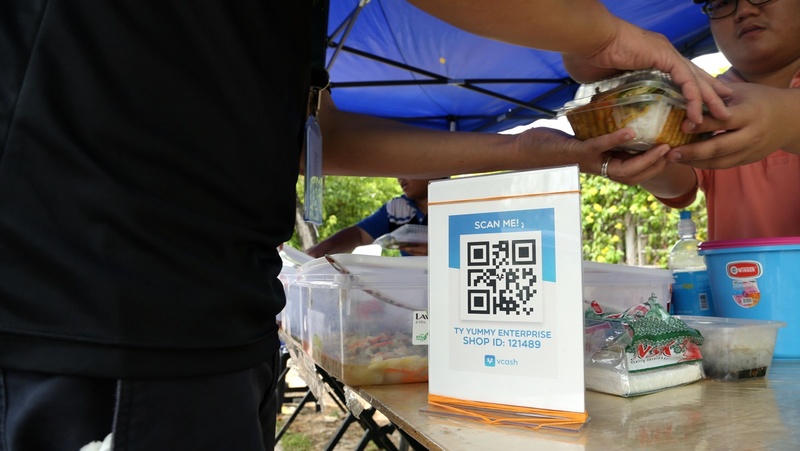 The government is already pushing Malaysia towards digital payments, including rural areas, which is the first target market for vcash. This already sets it apart from other similar solutions. If anything, targeting the less technologically savvy folk may pay off for vcash in this aspect; possibly replicating the kind of success WeChat Pay and Alipay have seen in China. vcash is currently available on both Android and iOS, for both consumers and businesses.